China is the hub of world Trade along with the amazing and beautiful places to visit. 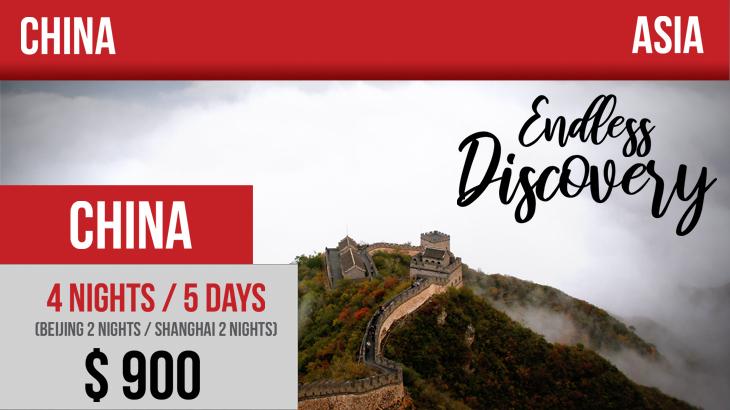 Experience the beauty of China with the exclusive China tour packages from Karachi. Make your China trip memorable and affordable through Travel mate’s China tour packages. Our China tour package from Karachi comprises many facilities, trips along with 5 star and 4 star accommodation. 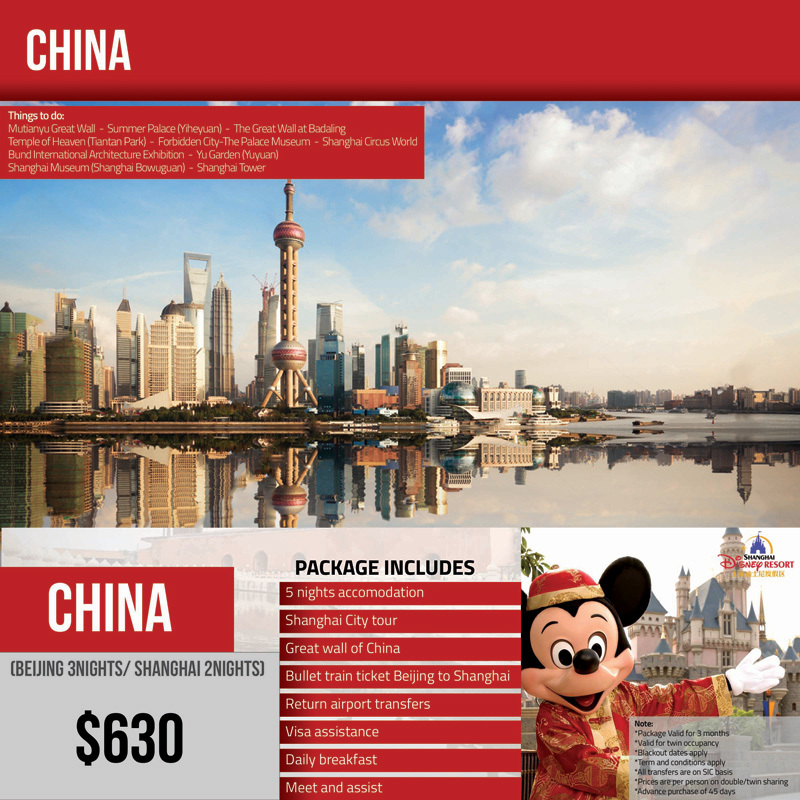 China Tour Package (Asia) with 4 Nights Accommodation & sightseeing tours. China tour Package with 5 nights accommodation, Shanghai City tour, Great wall of China, Bullet train ticket Beijing to Shanghai and more with travelmate.